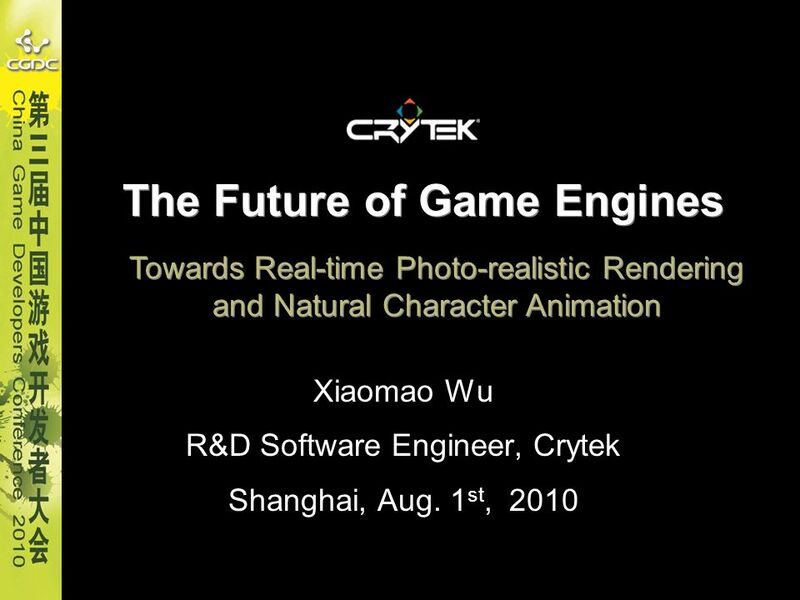 Towards Real-time Photo-realistic Rendering and Natural Character Animation Xiaomao Wu R&D Software Engineer, Crytek Shanghai, Aug. 1st, 2010 Good morning, Ladies and Gentalman. 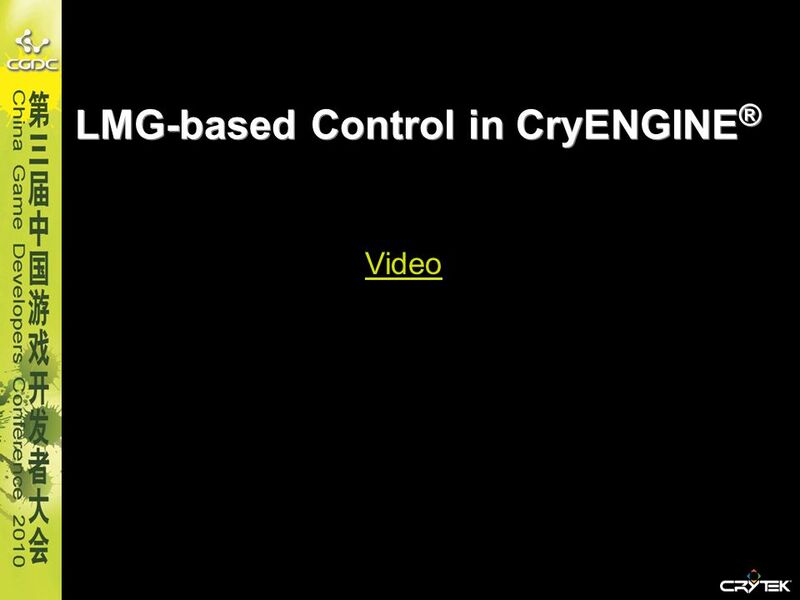 I am honored to be here with you today at ChinaGDC in Shanghai. 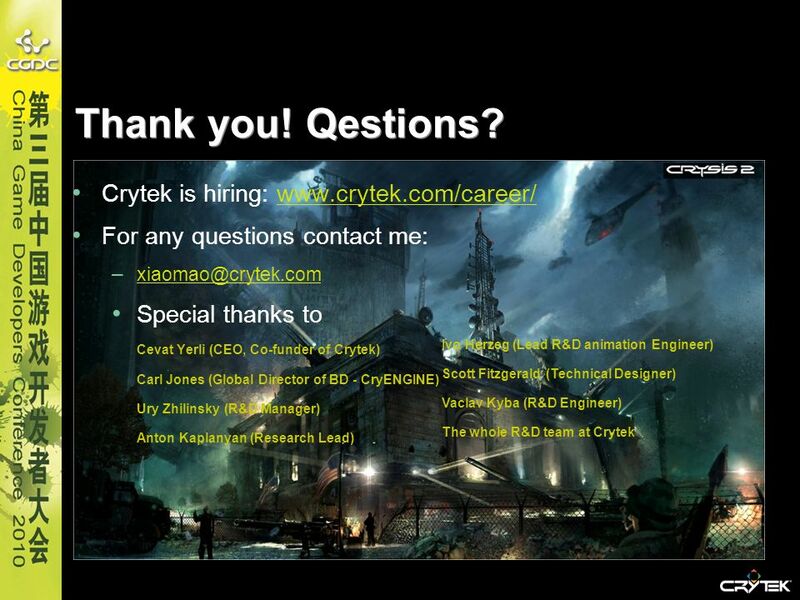 I’m Xiaomao from Crytek. 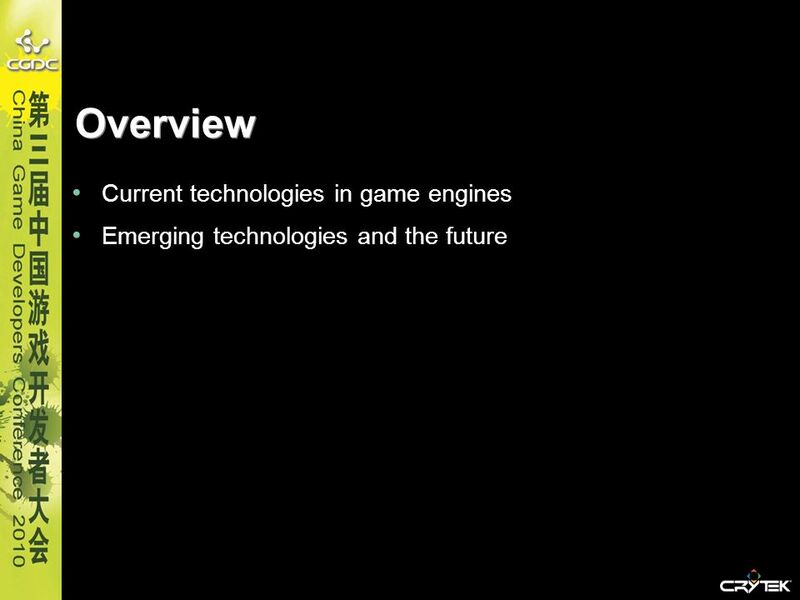 The topic I’m going to deal with is “The future of game engines”, with focus on rendering and animation. 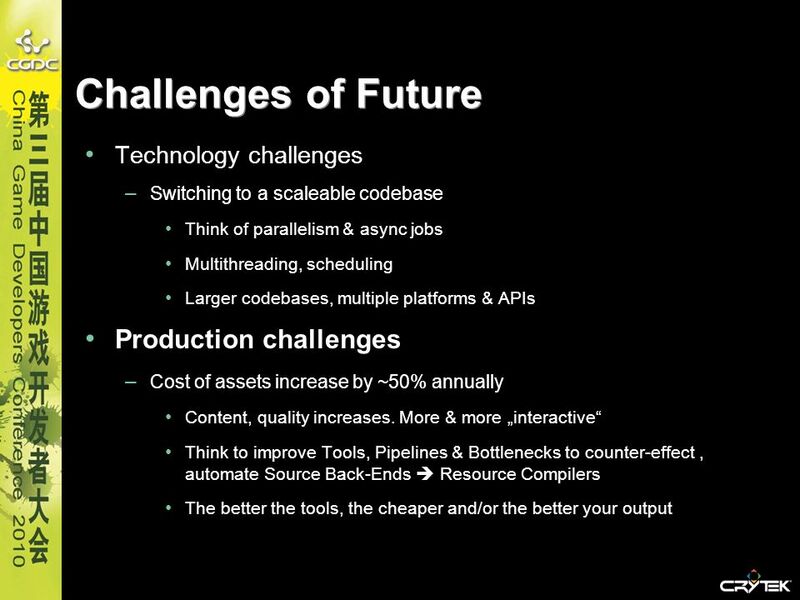 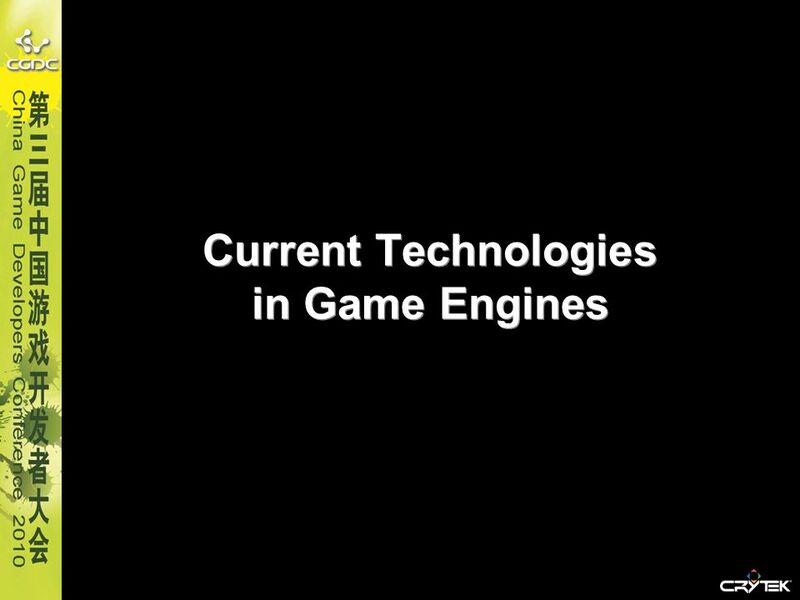 Emerging technologies and the future First I will give an overview of the current technologies in game engines, and then the emerging technologies. 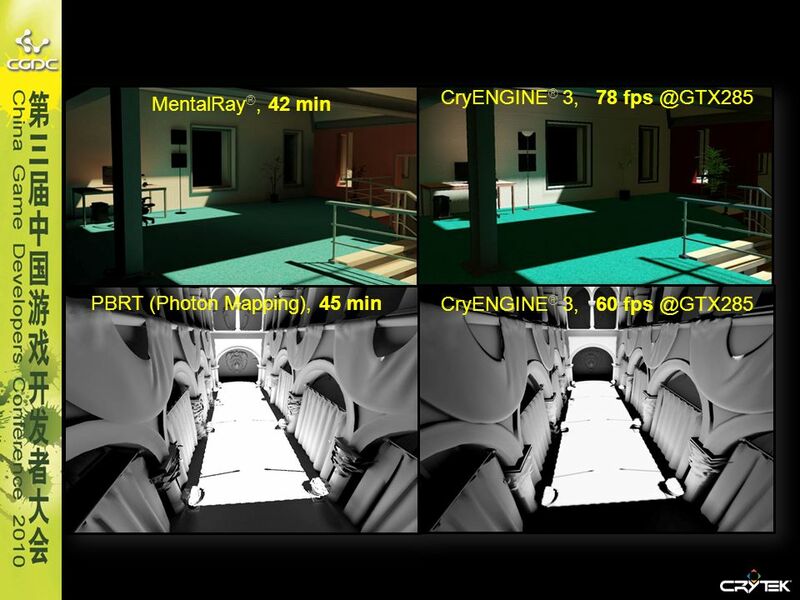 CryENGINE® 3, 78 MentalRay®, 42 min PBRT (Photon Mapping), 45 min CryENGINE® 3, 60 We compared the GI performance in CE3 with mentalRay and Photon mapping. 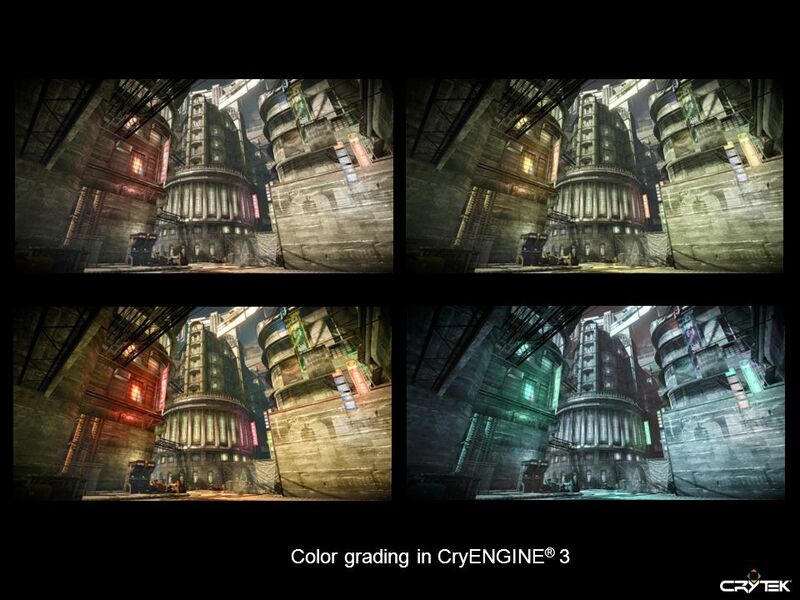 The speedup is tremendous and with the same rendering quality. 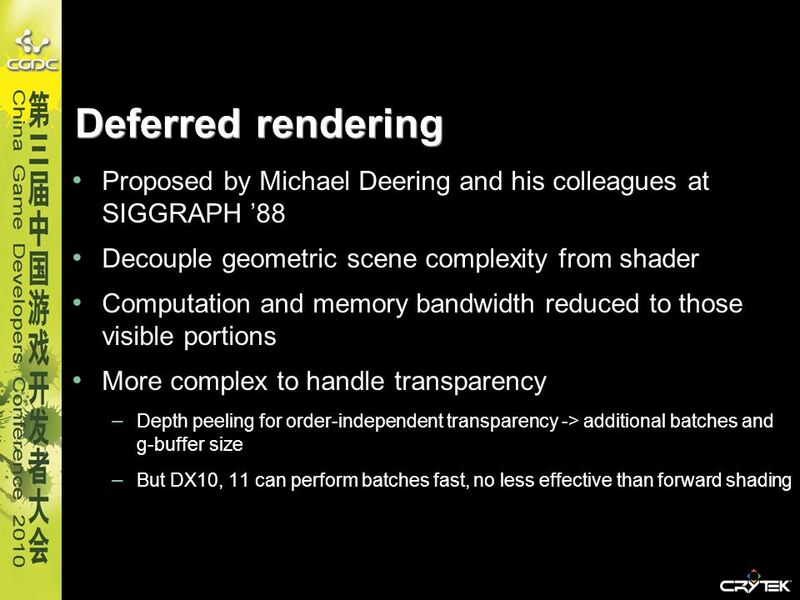 9 Deferred rendering Proposed by Michael Deering and his colleagues at SIGGRAPH ’88 Decouple geometric scene complexity from shader Computation and memory bandwidth reduced to those visible portions More complex to handle transparency Depth peeling for order-independent transparency -> additional batches and g-buffer size But DX10, 11 can perform batches fast, no less effective than forward shading Deferred rendering is another technology that is widely used in game engines. 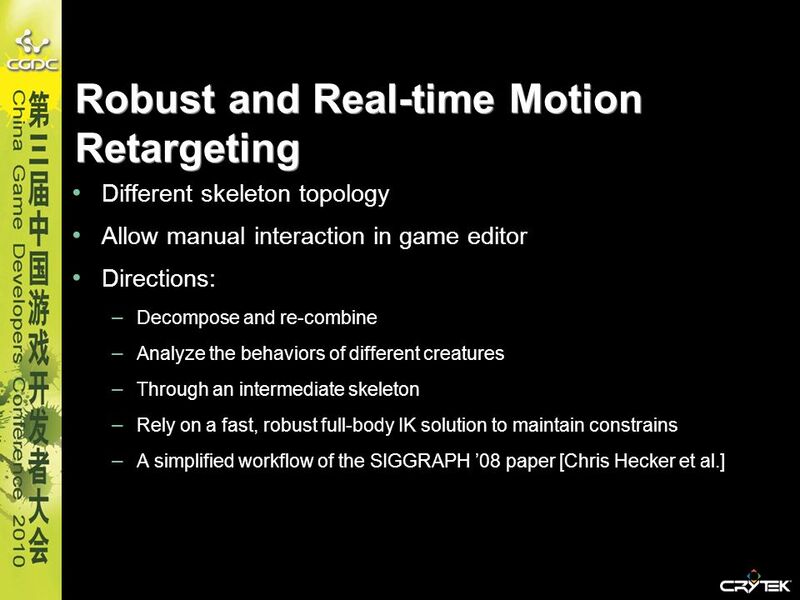 It was proposed by Michael and his colleagues at SIGGRAPH 1988. 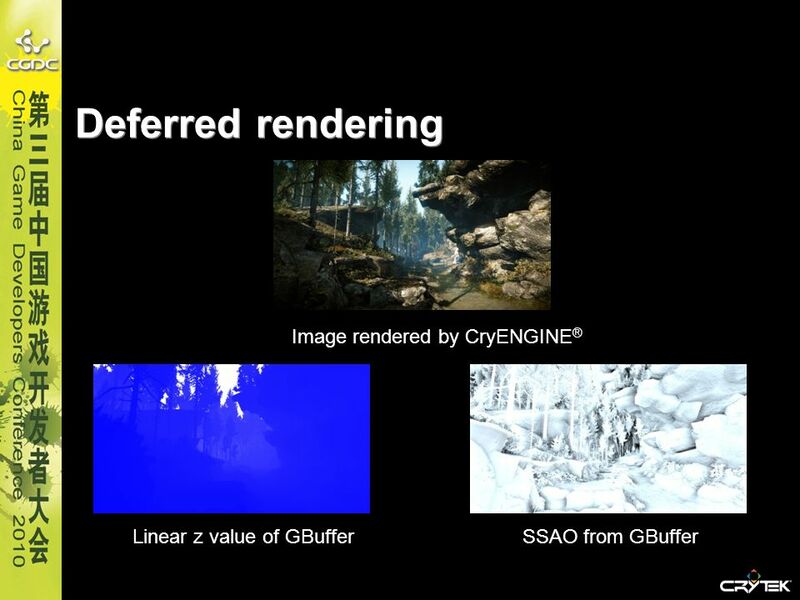 The basic idea is to decouple geometric scene complexity from shader, by using an intermediate buffer such as Gbuffer. 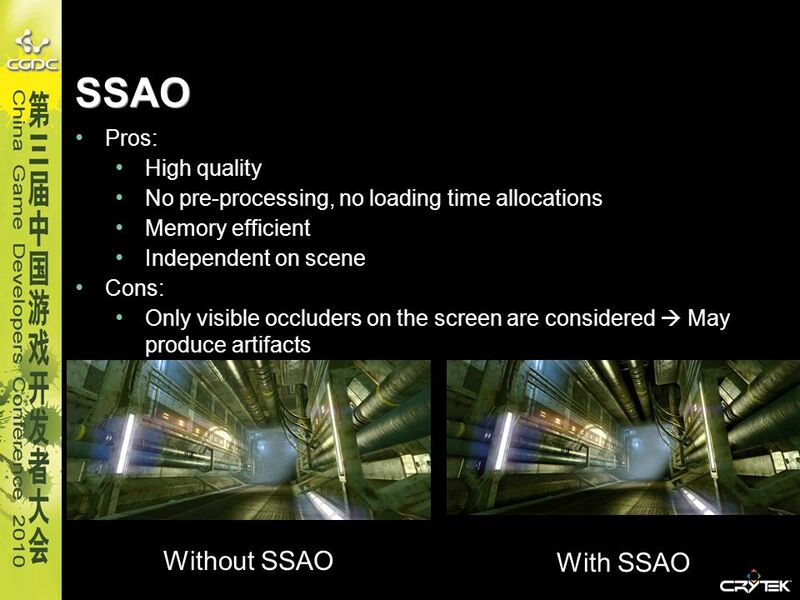 One drawback of deferred rendering is the difficulty to handle transparency. 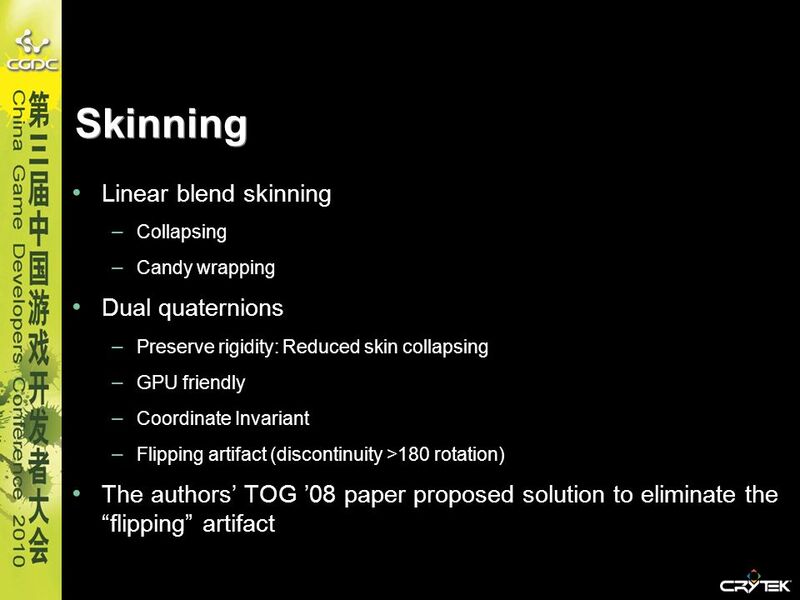 Depth peeling can be used to achieve order-independent transparency in deferred rendering, but at the cost of additional batches and g-buffer size. 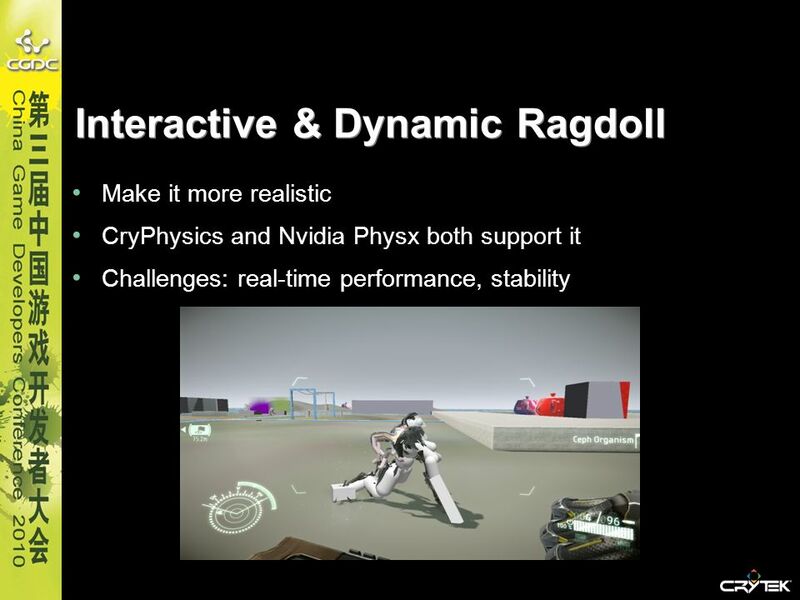 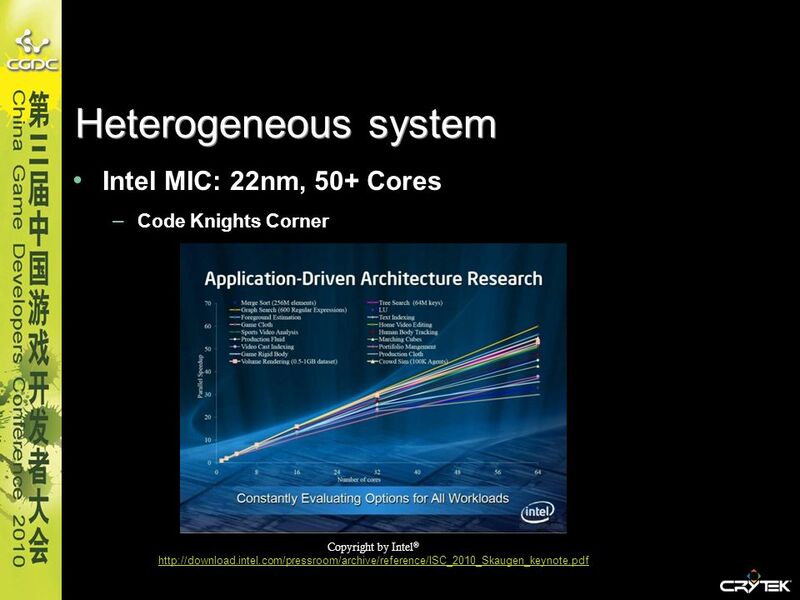 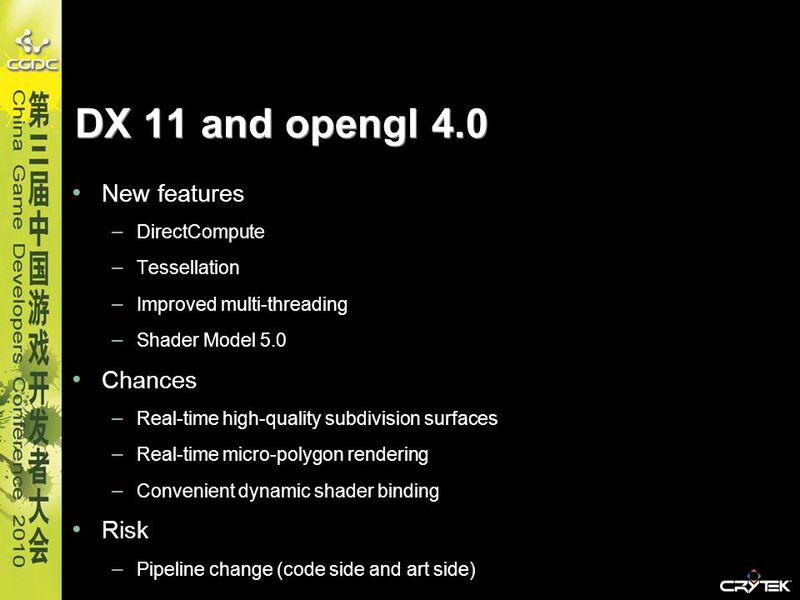 Fortunately, DX10/11 is capable of performing batches fast enough to maintain interactive frame rates. 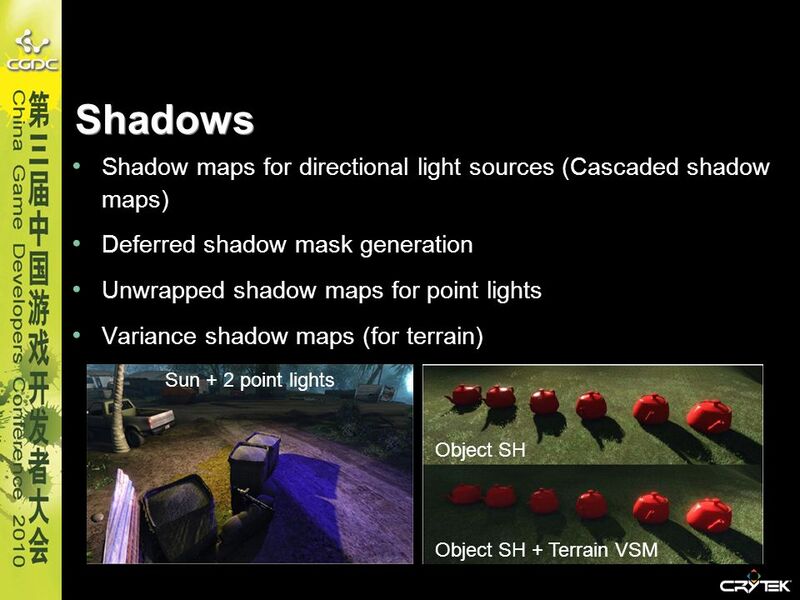 When order-independent transparency is desired, deferred shading is no less effective than forward shading using the same technique. 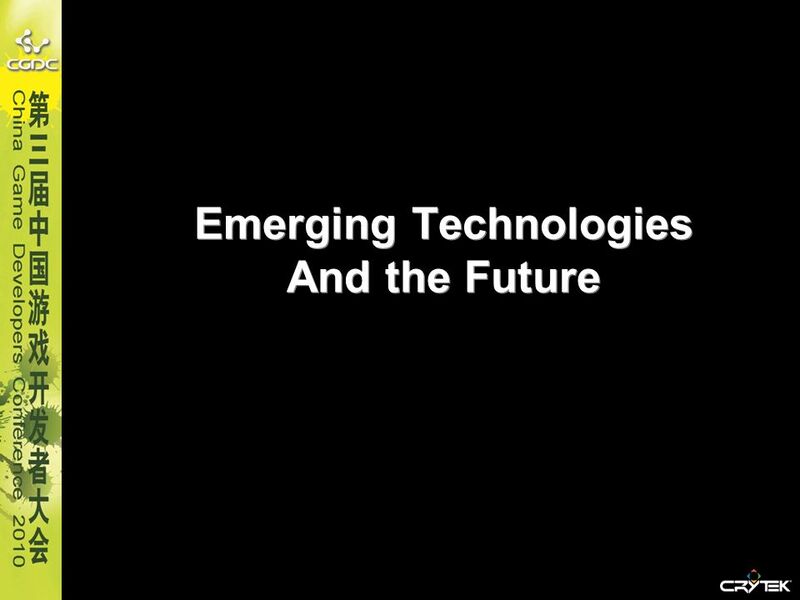 49 How to design for the future? 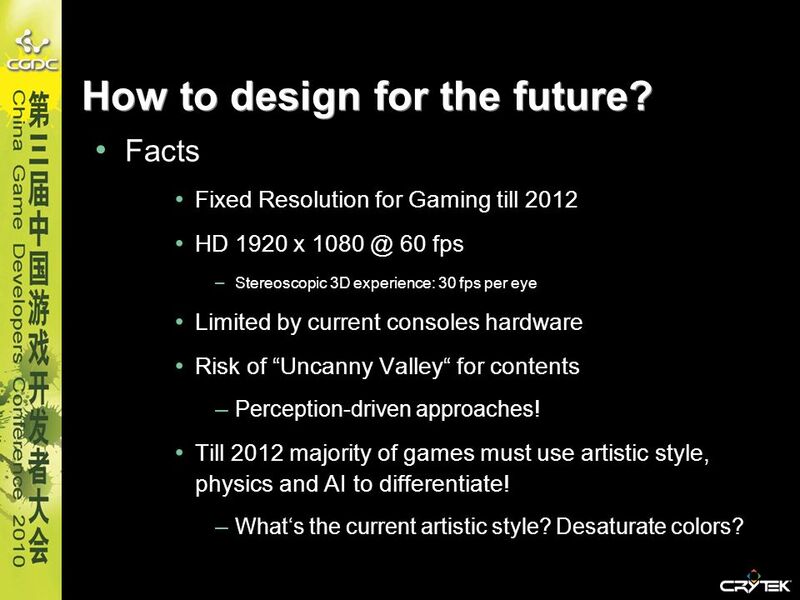 Facts Fixed Resolution for Gaming till 2012 HD 1920 x 60 fps Stereoscopic 3D experience: 30 fps per eye Limited by current consoles hardware Risk of “Uncanny Valley“ for contents Perception-driven approaches! 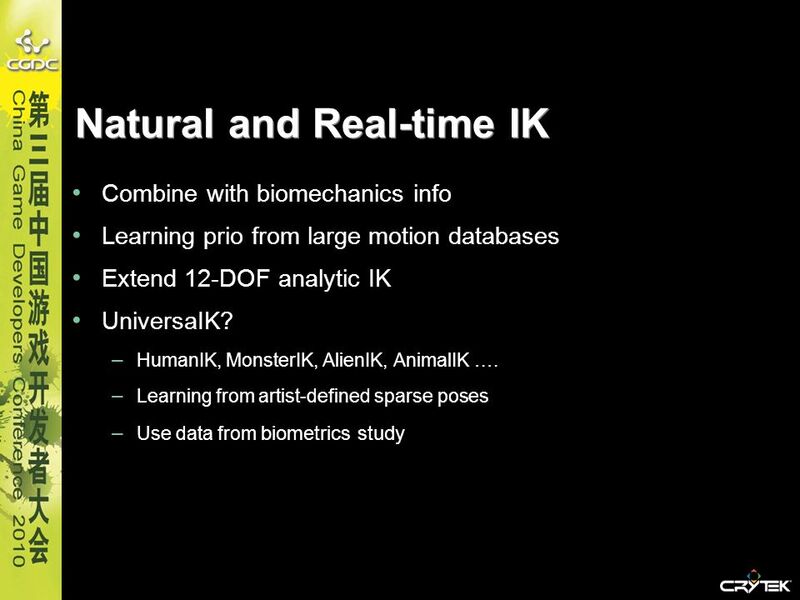 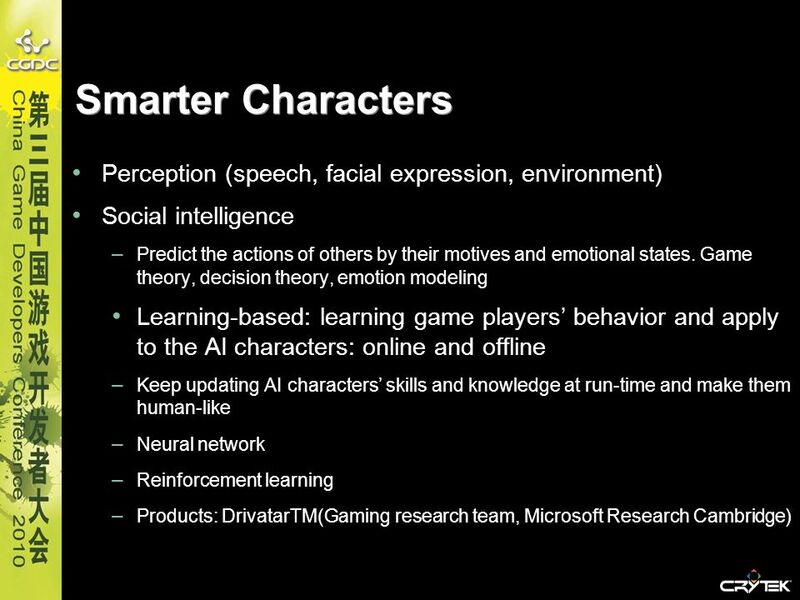 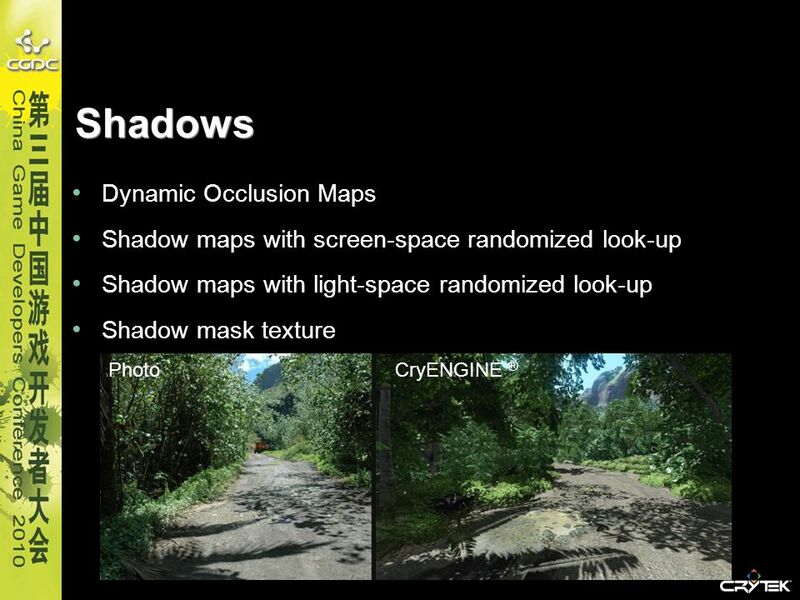 Till 2012 majority of games must use artistic style, physics and AI to differentiate! 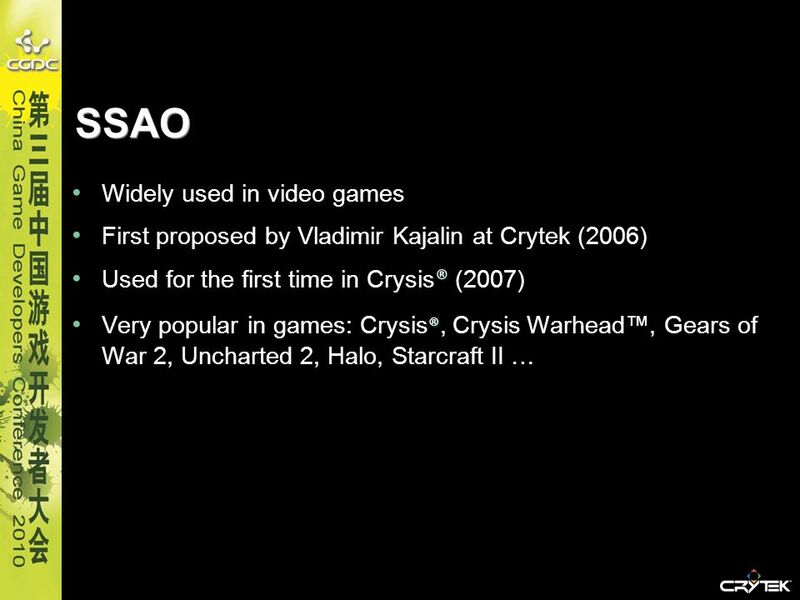 What‘s the current artistic style? 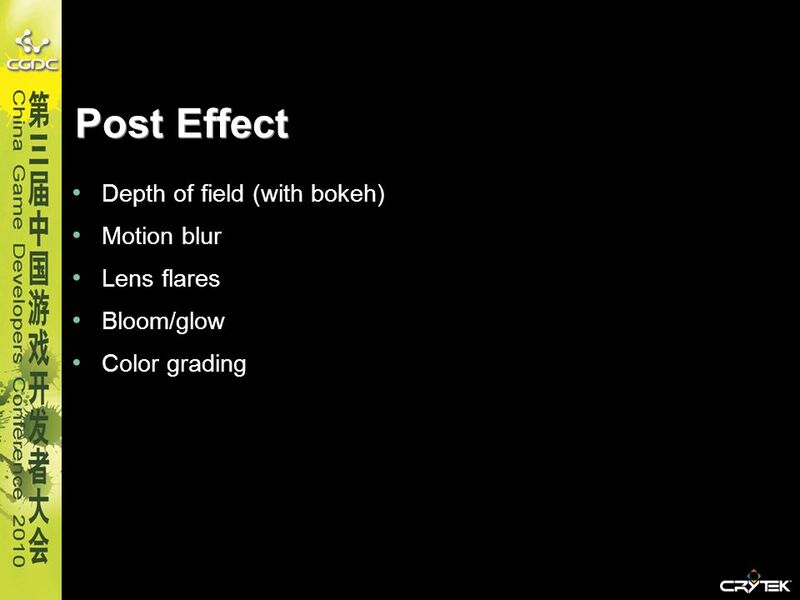 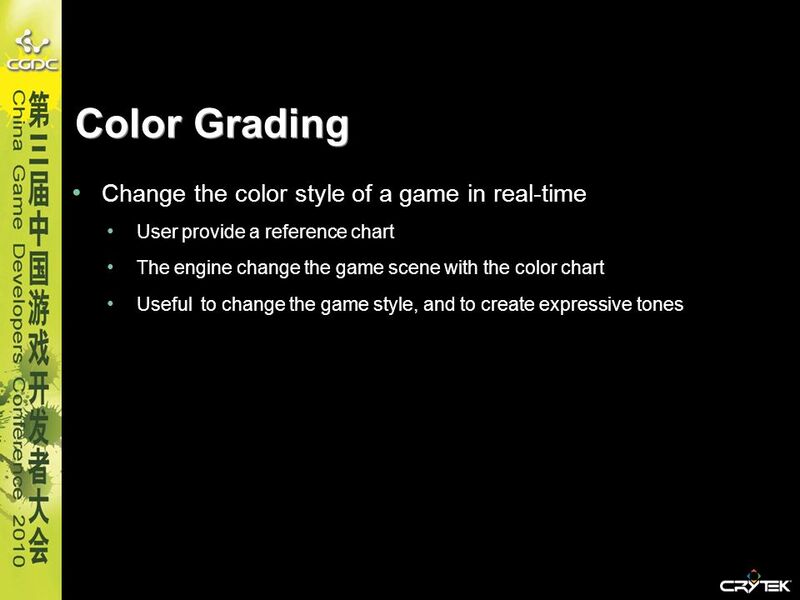 Desaturate colors? 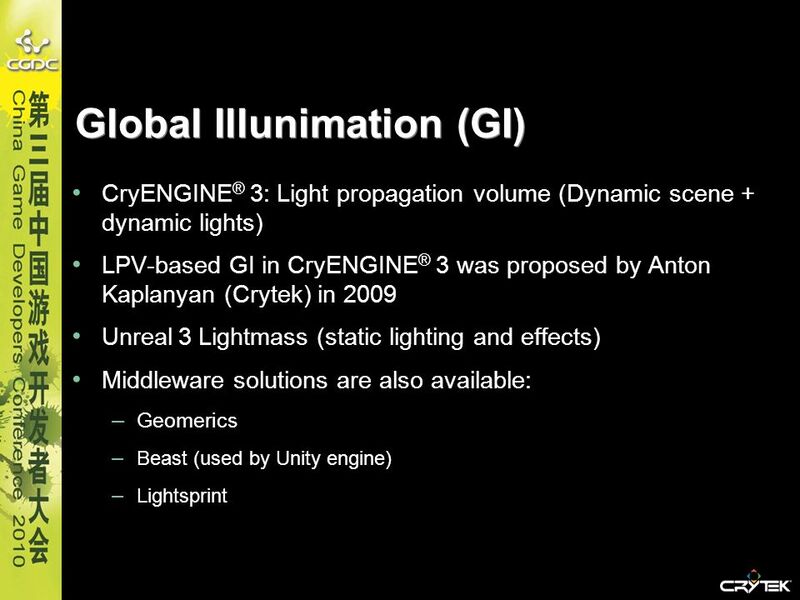 Download ppt "The Future of Game Engines"
Future graphics in games Cevat Yerli Crytek CEO Anton Kaplanyan Lead researcher. 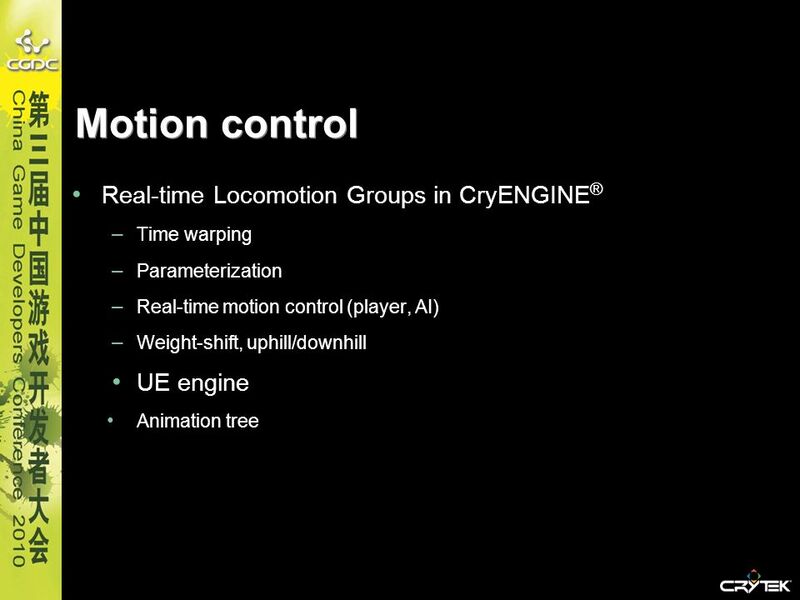 CRYTEK © 2010 Crytek GmbH BRINGING STEREO TO CONSOLES Nicolas Schulz, R&D Graphics Engineer GDC Europe 2010, AAA Stereo-3D in CryENGINE. 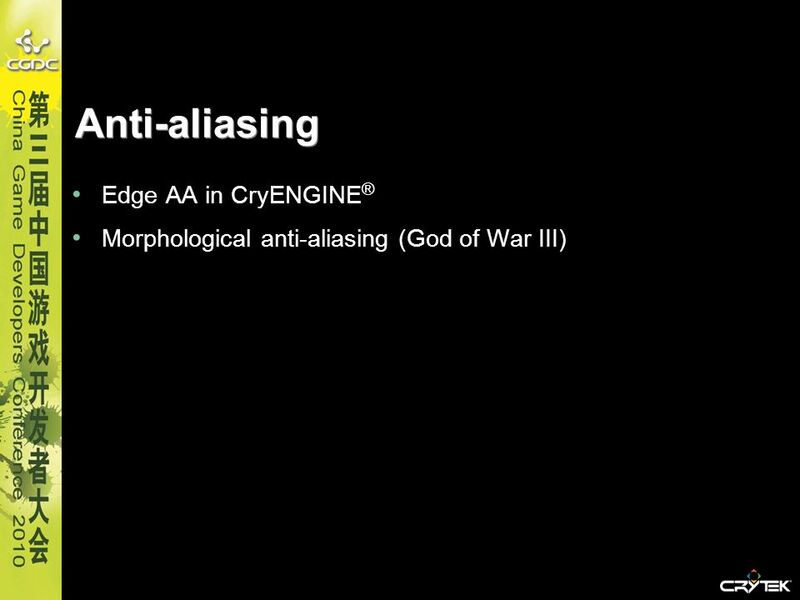 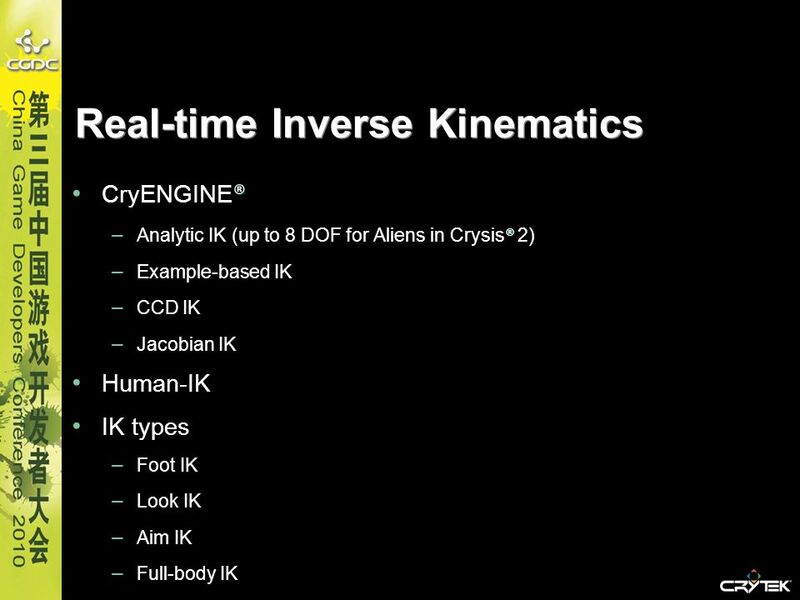 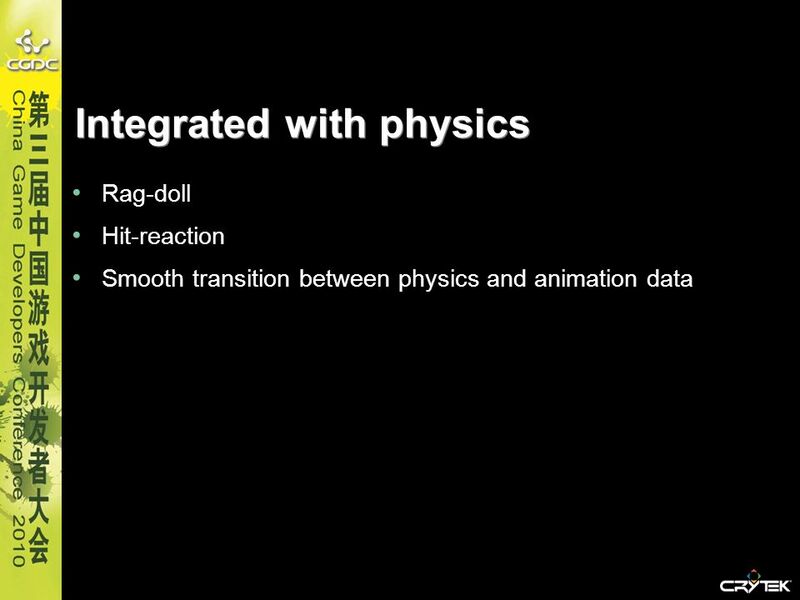 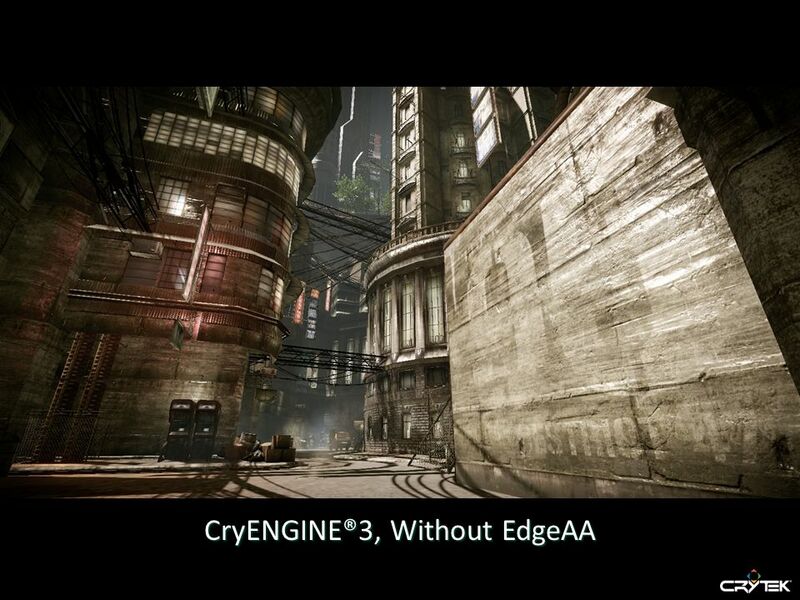 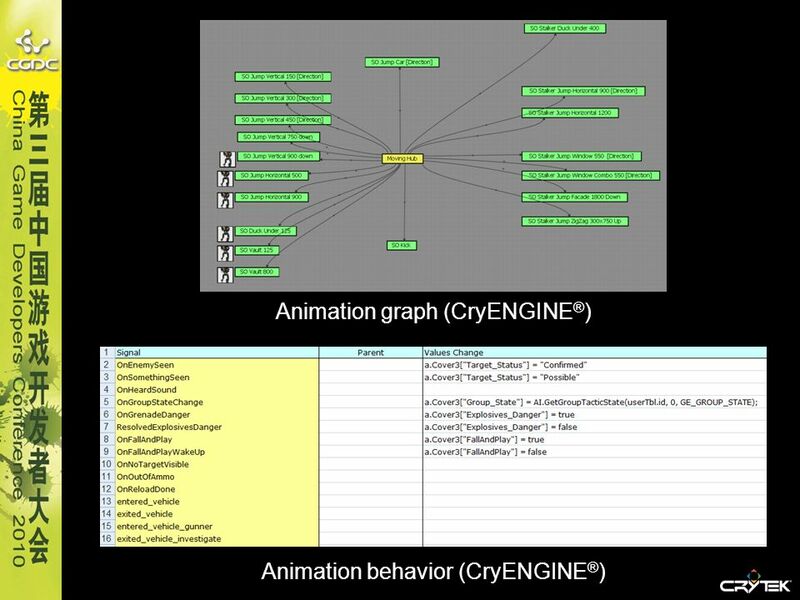 Introduction to Direct3D 10 Course Porting Game Engines to Direct3D 10: Crysis / CryEngine2 Carsten Wenzel. 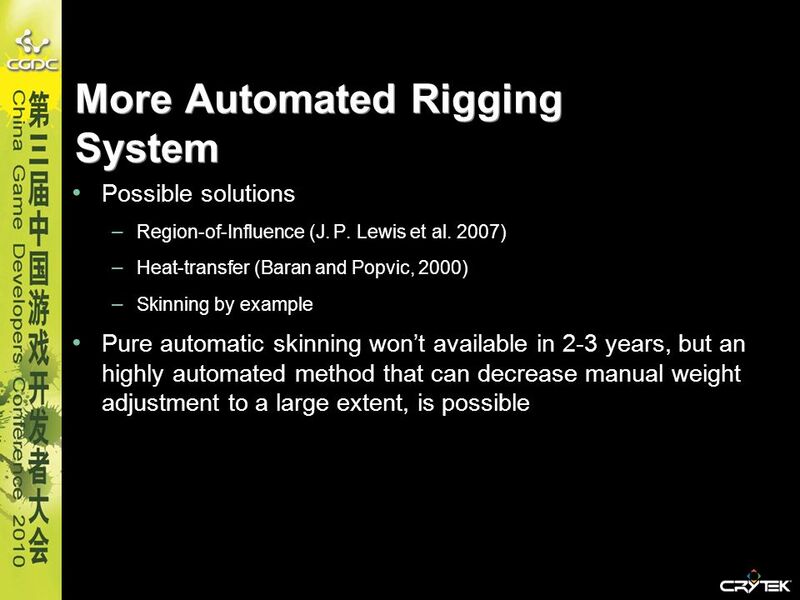 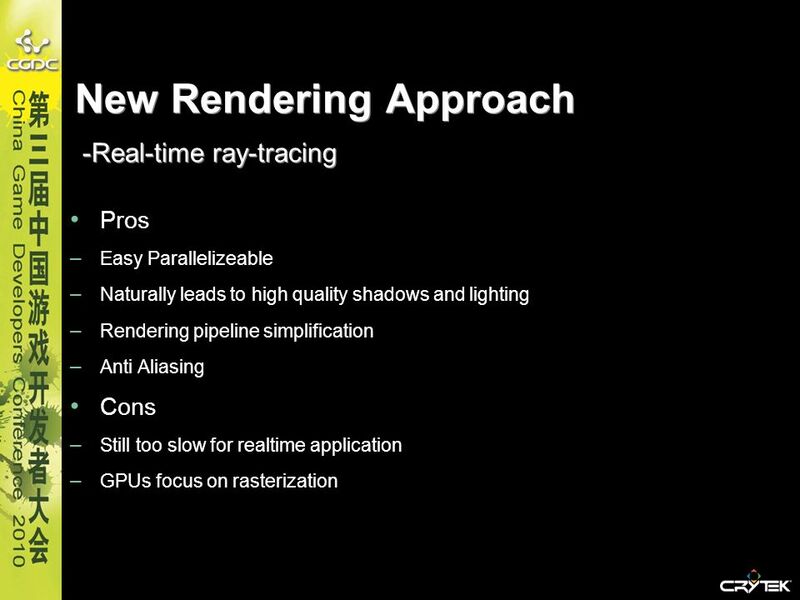 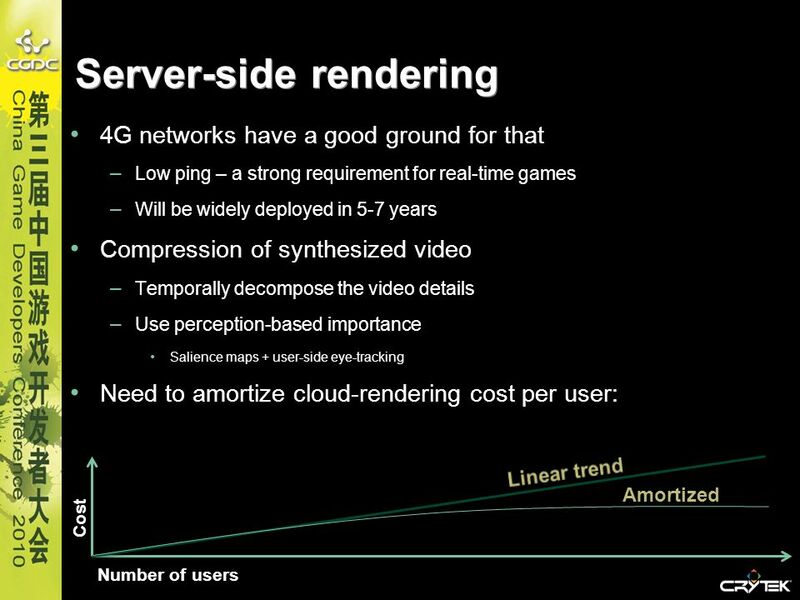 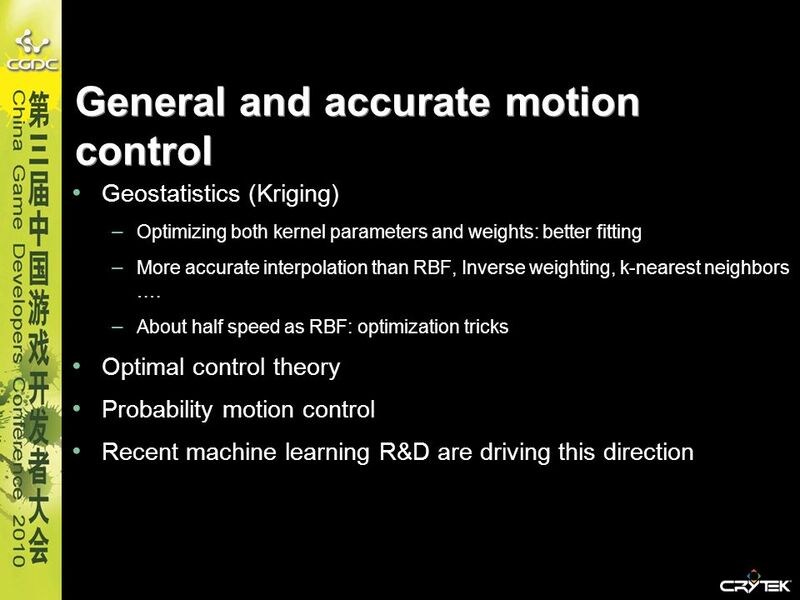 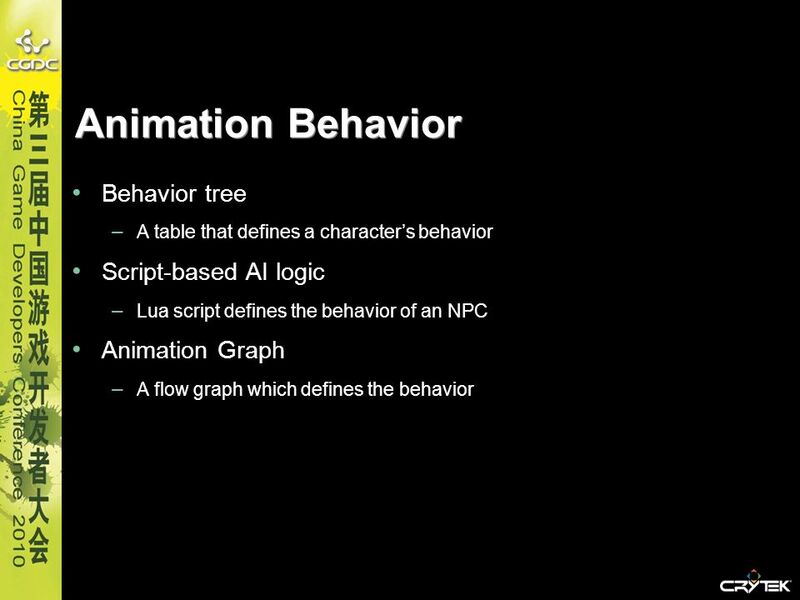 Accelerating Real-Time Shading with Reverse Reprojection Caching Diego Nehab 1 Pedro V. Sander 2 Jason Lawrence 3 Natalya Tatarchuk 4 John R. Isidoro 4. 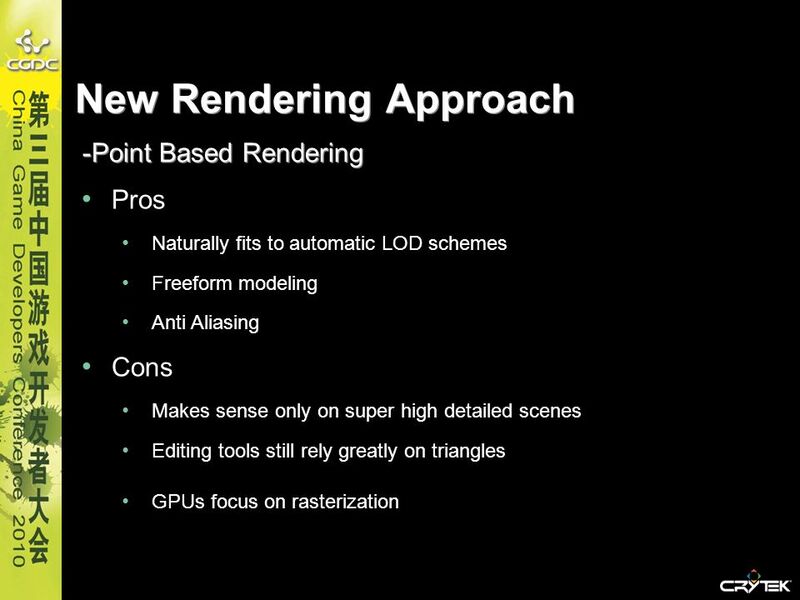 POST-PROCESSING SET09115 Intro Graphics Programming. 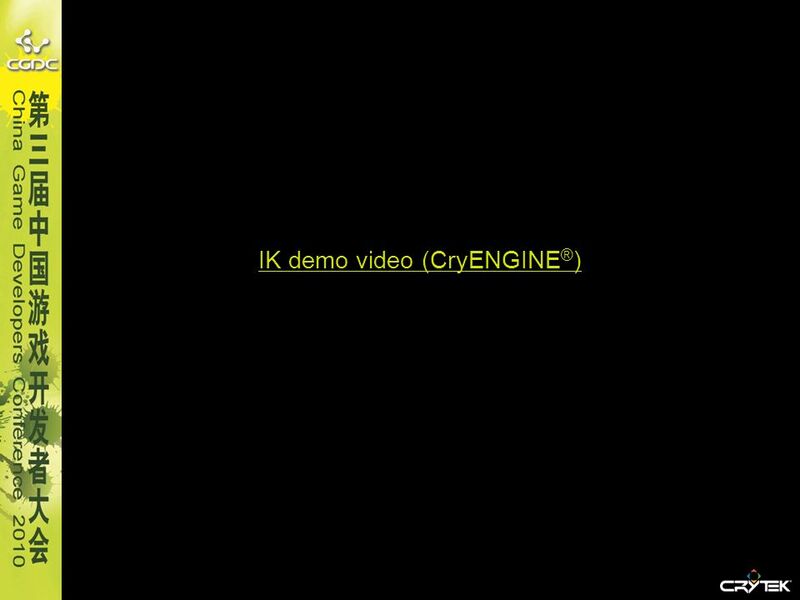  Welke overwegingen komen daar bij kijken? 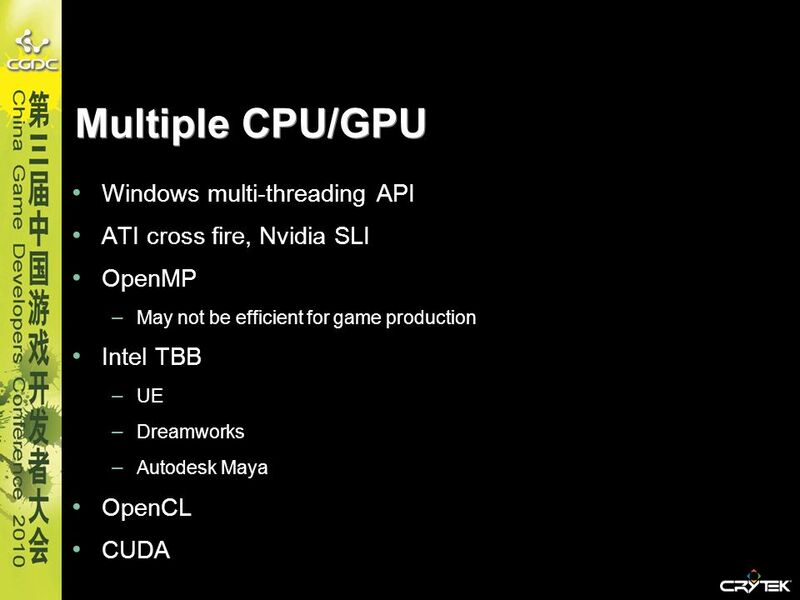  Multiplatform? 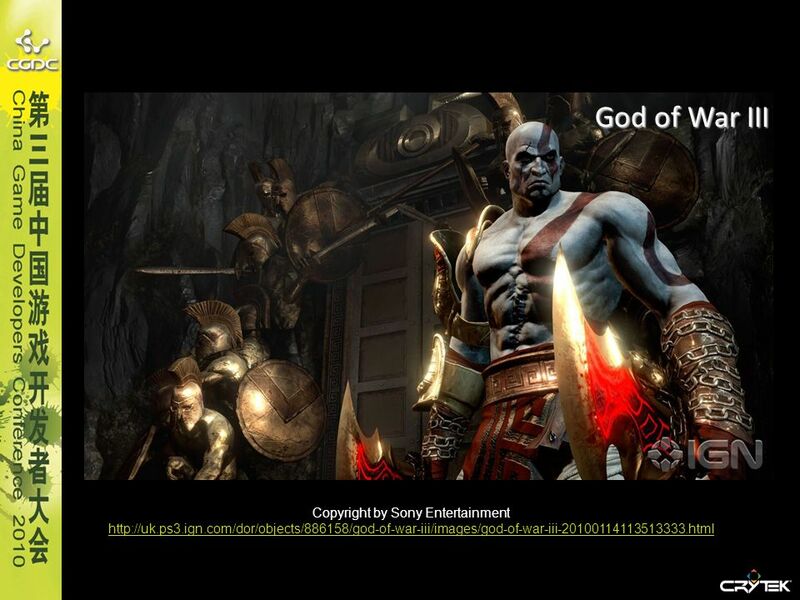  Install base -> potential user base. 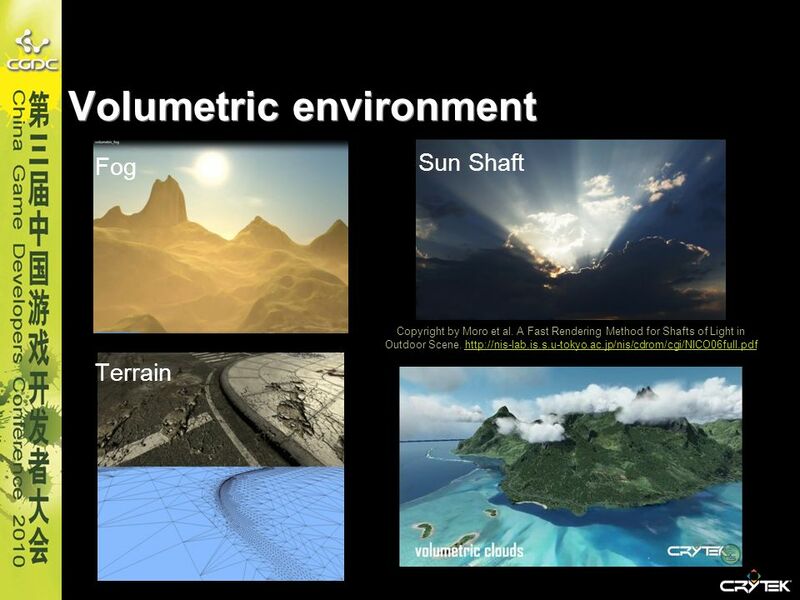 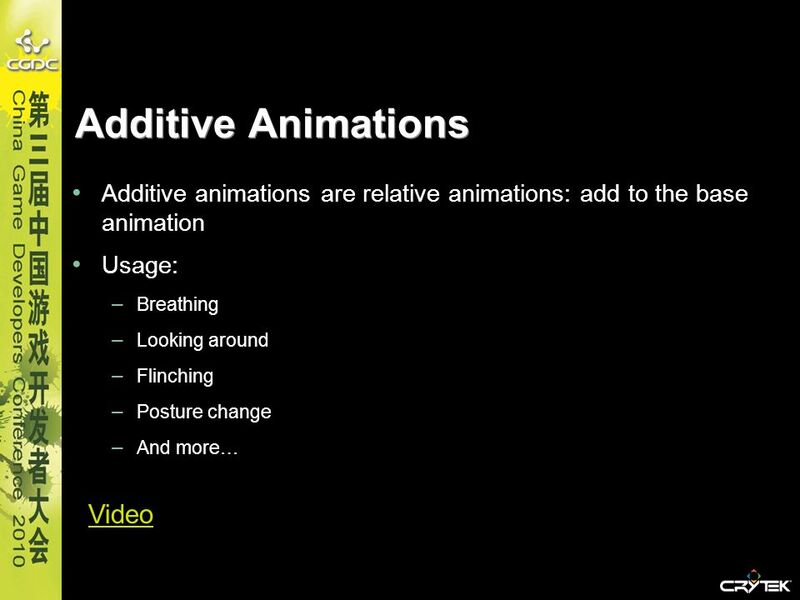 Multi-user Extensible Virtual Worlds Increasing complexity of objects and interactions with increasing world size, users, numbers of objects and types. 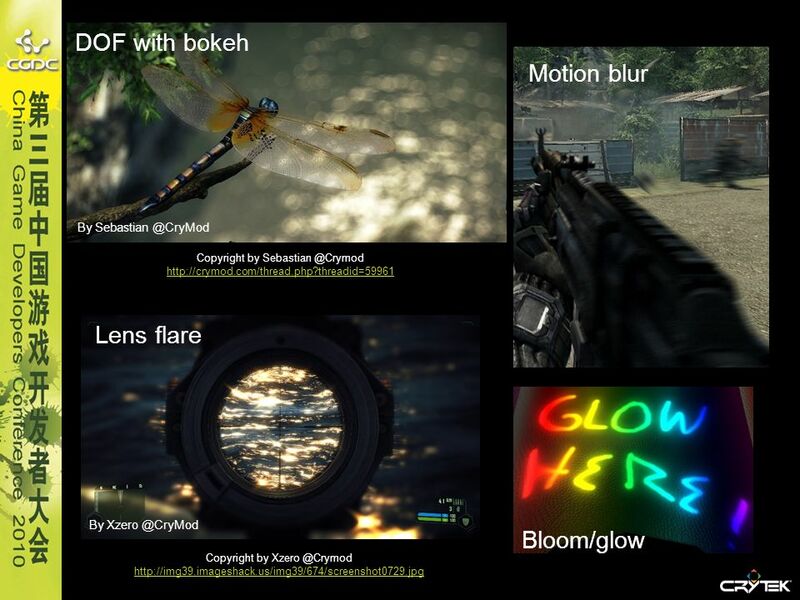 Cs /11/2003 Page 1 Special Image Effects Particle Systems Fog Lens Flares Shadows Programmable Shaders. 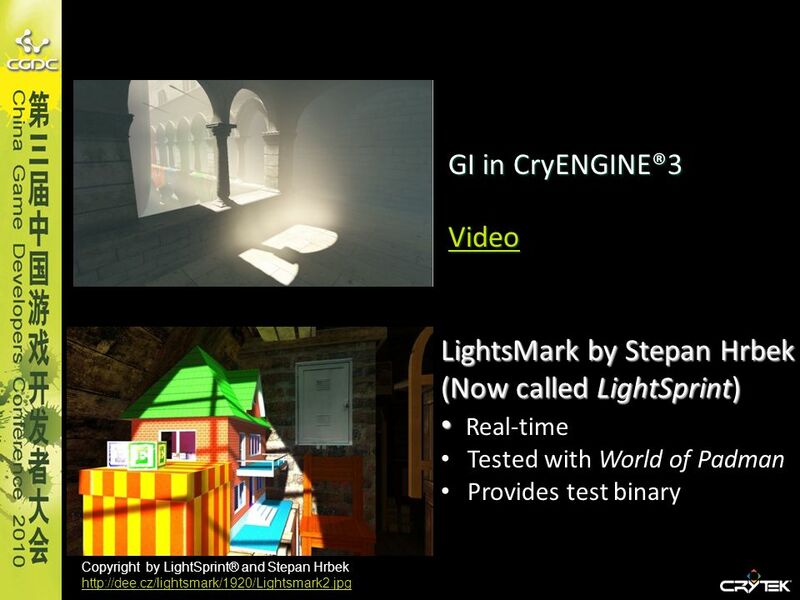 Technische Universität München Computer Graphics SS 2014 Graphics Effects Rüdiger Westermann Lehrstuhl für Computer Graphik und Visualisierung. 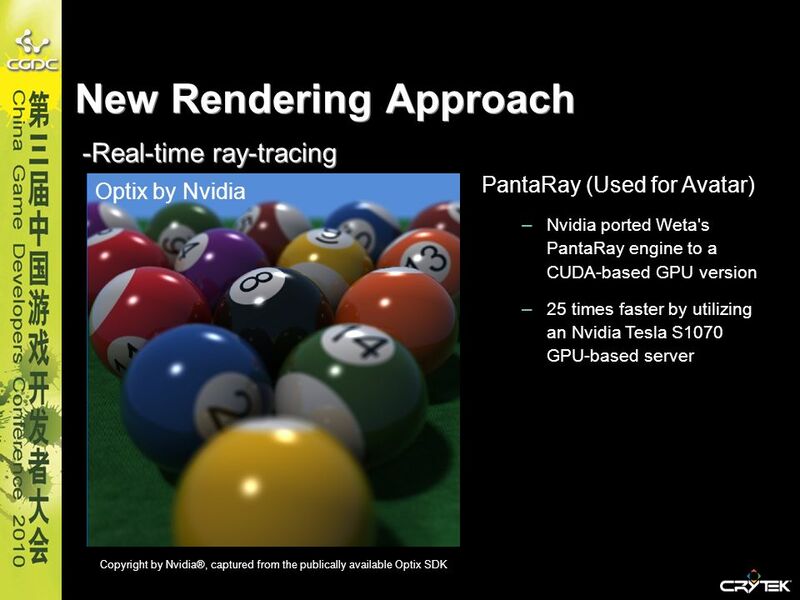 COMPUTER GRAPHICS CS 482 – FALL 2014 NOVEMBER 10, 2014 GRAPHICS HARDWARE GRAPHICS PROCESSING UNITS PARALLELISM. 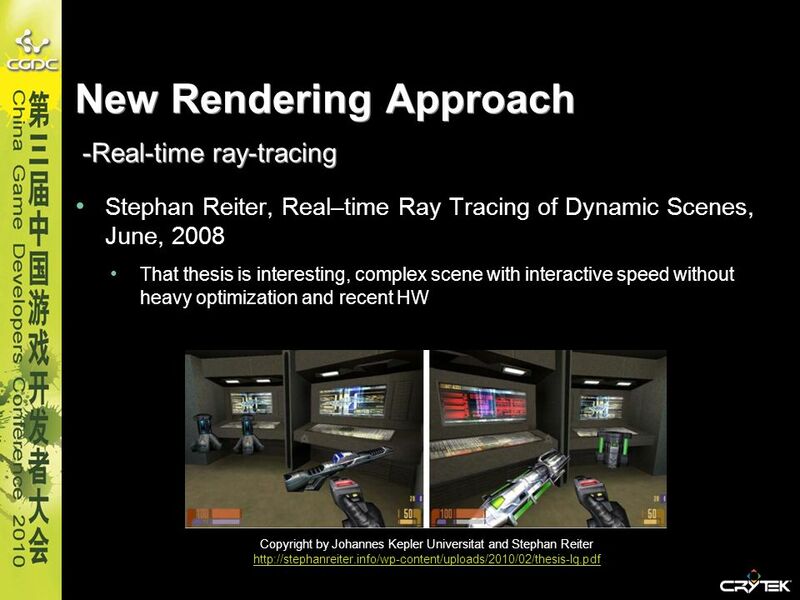 GI 2006, Québec, June 9th 2006 Implementing the Render Cache and the Edge-and-Point Image on Graphics Hardware Edgar Velázquez-Armendáriz Eugene Lee Bruce. 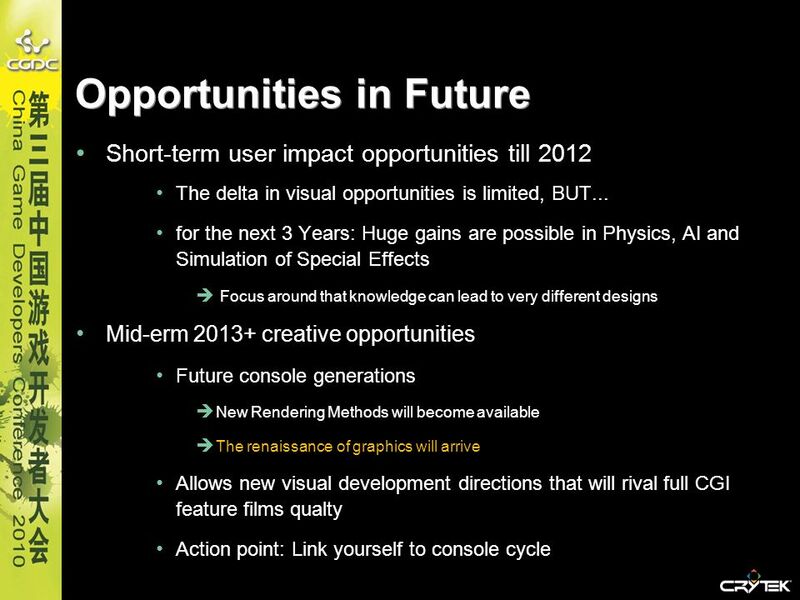 0 Real-time Graphics: Issues and Trends in Games Tobi Saulnier CEO, 1 st Playable Productions November 5, 2007 Computer Graphics, Fall 2007.